Memphis Portrait Photographers, Collierville, Tn. We kicked off the fall season with our "Family Holiday Portrait Sessions" last week on location at the beautiful Criss Cross Lodge in Collierville. In alliance with www.Webzmedia.com, we have teamed up to offer our clients very special "Say Bees" private sessions on select settings on the grounds. Here are a few from the session with Amber Patten and her beautiful girls. In November we are offering fall portraits, and in December, we will offer winter sessions with a Home for the Holidays theme. Let us know if you would like to schedule a session, we are selling out of sessions quickly. 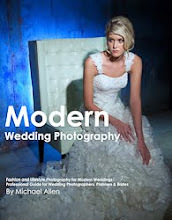 Meet Michael Allen - He talks about his experience shooting the new film "Avarice"
For Photographers - Modern Weddings with an Editorial Style - Buy Michaels book! 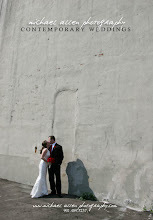 Michael is Southern Bride's Editorial Photographer. Pick up an issue on Newsstands Across the South! Eat Well and Stay Healthy! As a professional photographer I highly recommend Juice Plus! Looking for just the right wedding dress? Here's the best kept secret for Brides! 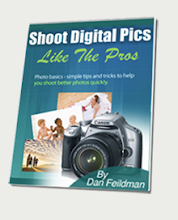 Want to Learn More About Photography? Our principal photographer is Michael Allen. Michael is available for assignments year round at locations across the globe. Michael's associate photographer is Tracy Leigh Welch. Tracy is an incredible photographer who has helped Michael on shoots across the South, and is available for assignments in the local Memphis area. Our studio hairstylist and associate photographer is Janice Allen who owns Eston Salon based in Memphis. Janice offers editorial styling for our corporate shoots, editorial and modeling shoots, and is available for assignments in the local Memphis area. Our makeup artist is Melissa Jadhav who offers several photographers her professional makeup services for photo shoots. Our set designer is Morgan Armstrong, who owns MemphisModern.com and she helps Michael on shoots for food styling, wardrobe selection, hair and makeup and set design. She's well respected in the IDS interior design community in Memphis and helps facilitate the organization.